IDEXX Laboratories, a veterinary diagnostic testing and product manufacturer, is taking two former employees and Vets First Choice, a prescription management company, to court. The company’s lawsuit, filed Aug. 3 in U.S. District Court, states that Dan Leach and Agostino Scicchitano did not reveal they resigned from IDEXX to gain employment with Vets First Choice and engaged in alleged “actual and/or threatened misappropriation of trade secrets.” The lawsuit claims the pair took confidential materials from company computers when they moved to their new employer. This takes on significance several reasons, not least of all the announcement in April by Vets First Choice and Henry Schein Inc. that Henry Schein would merge its animal health business with Vets First Choice to create Vets First Corp., an independent publicly traded company. A recent analysis by Zack’s Investment Research of IDEXX concluded that while IDEXX had been outperforming in its industry, Henry Schein’s spin off of its animal health business poses a threat to the company. Since 2017, seven other IDEXX employees had been hired by Vets First Choice, the lawsuit states. “As a result of the aggressive hiring practices that Vets First Choice was utilizing, and given IDEXX’s particularized concern that its former employees possessed and would use its confidential and trade secret information against IDEXX, IDEXX sent various letters to Vets First Choice informing Vets First Choice about its former employees’ ongoing obligations owed to IDEXX,” the lawsuit states. “Such information is highly confidential to IDEXX, is not known generally within IDEXX—or by IDEXX’s outside competitors—and would give Leach, Scicchitano and Vets First Choice an unfair competitive advantage,” the lawsuit stated. 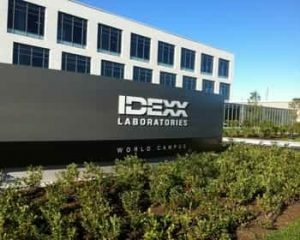 “IDEXX stands to lose millions of dollars of intellectual property, and the loss of value of its trade secrets and confidential and proprietary information, which cannot be adequately addressed at law,” the lawsuit states. The Bangor Daily News, which first reported the story on Aug. 6, said that Vets First Choice and Leach and Scicchitano had not answered the complaint as of Monday afternoon.